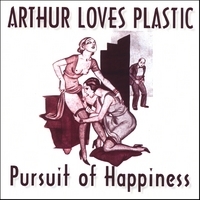 The ever-prolific Bev Stanton releases yet another record with her project Arthur Loves Plastic. It’s pretty mellow but with some danceable tracks. “Alone til The Day I die” with pristine vocals by Heather Heimbuch starts the record well. The beats are upbeat and the mood chilled. “Touch” is a minimalistic dancefloor filler. “Meltdown” is a sweet song that features the singer Laura Burhenn on mellifluous vocals. The title song has vocals by frequent collaborator Lisa Moscatiello. She sounds great in this setting. It’s another fine record by Bev Stanton.